It seemed like no one was happy when Apple announced its new Lightning connector. Apple users were mad that they’d have to replace their massive stash of 30 pin accessories, and Android fans were angry that Apple didn’t adopt the ubiquitous microUSB standard. But ultimately, Apple made the right choice – and I think that everyone else should swap to Lightning too. Here are the top five reasons why Apple’s Lightning connector is way better than microUSB. 1. Lightning is reversible. This is the one point that even the most ardent Android zealot will admit – and it’s more important than you might think. As well as making for a much more convenient user experience, it significantly reverses wear on both cables and ports. Think about how many times you’ve struggled with a microUSB cable, pushing it in one way, then the other, then the original way again. Each attempt wears down the connector, making it fail more quickly. Lightning’s solid metal construction also helps here, compared to the weaker plastic used in microUSB. 2. Lighting is bi-directional. MicroUSB 2.0 works only in one direction, pulling power into your phone from whatever it’s plugged into. Lightning is different – you can use it to power your phone, but it also works just as easily to power accessories like keyboards. MicroUSB requires a bulky USB OTG adapter to do this, and not all Android phones even support the standard. 3. Lightning is good for workers and the environment. Because Apple control the Lightning standard, they can demand certain things of manufacturers that use it. Apple have a pretty sound ethical and ecological corporate culture, and that translates to their Lightning stipulations. Makers of iPhone 5 chargers have to use eco-friendly materials, not overwork their workforce and agree to audits to make sure they’re upholding these standards. 4. Lightning is literally more powerful. 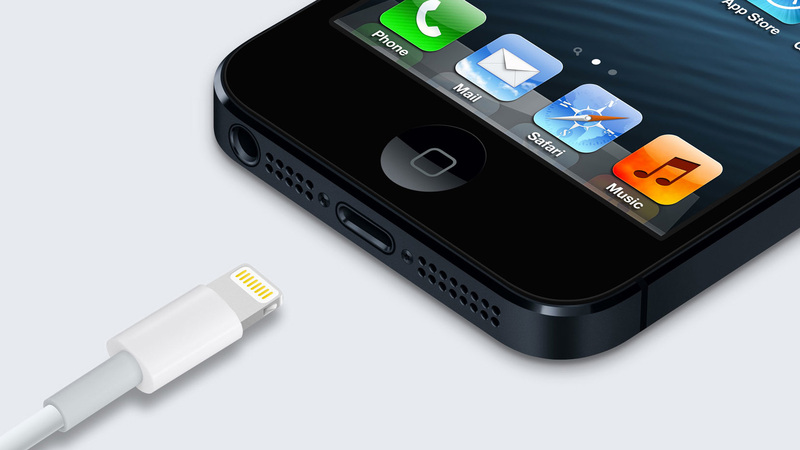 MicroUSB is limited to 9 watts of power, while Lightning can provide 12 or more. That means more powerful devices, like tablets, can be quickly charged using Lightning. 5. Lightning should be compatible with USB 3.0 in the future. Right now, Lightning is limited to USB 2.0 speeds – not great. But according to an Apple job posting last year, the company is looking to get the latest USB 3.0 standard supported, which would raise transfer speeds considerably. It’s a pretty comprehensive victory for Lightning over microUSB, but what about microUSB 3.0, as seen in the Galaxy S5 and Note 3? Well, that connector is pretty poor too. While it is more powerful and faster than its predecessor, it’s also way bigger and still can only be inserted in one direction. In my eyes, that’s not much of an improvement at all – and Android manufacturers would still be better off using Lightning instead – if Apple will let them, that is. What do you think? Leave a comment or talk to me on Twitter @AcerWill. 1: Not especially an issue as long as you’re not trying to shove it in. 2: MicroUSB 3.0 is also bi-directional. May want to edit that, as it is a detail that I can’t let slide, despite the fact I understand fully that 2.0 is the current standard still. 3: Can’t retort this. +1 to Apple. 5: I think if they made a charger compatible with 3.0, it would no longer be the same any more, they’d have to make a new design, and I anticipate a re-naming with that change. Beyond that, Lightning was never substantially better to warrant other devices use it, proven by the fact that apple released macbooks with a single USB Type C port instead of a lightning port. Considering this was written in 2014, before USB-C was announced, I think you’ll excuse any retroactive inaccuracies. I understand that. I only commented because it said last edited in 2015.